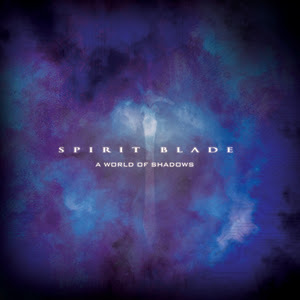 Spirit Blade Productions (SBP) released the first installment of the Spirit Blade trilogy in 2006, followed by part two, Spirit Blade: Dark Ritual in 2008. Now the wait is over for the final chapter of the story. 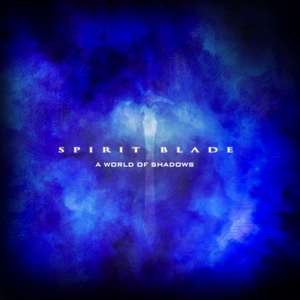 Spirit Blade: A World of Shadows releases July 18th, 2016. The Spirit Blade trilogy is a futuristic, sci-fi epic which follows the adventures of Merikk Scythe, the leader of The Underground Liberation, a group who are rebelling against the oppressive government and their state run religion. Along with Vincent Craft and Raan Galvaanik, Merikk strives to protect the Liberation from evil forces while also leading as many Seekers as possible to The Only. There are two versions of each of the three audio dramas in the series, the Legacy Editions and the Special Editions. The Special Edition versions contain original songs sung by the cast and interspersed throughout the story while the Legacy Edition has only the story. Also included in each album is a bonus blooper reel. Due to some of the themes and intense situations portrayed in the Spirit Blade trilogy we do not recommend these audio dramas for children or young teens. These productions are available for purchase on iTunes, Amazon and directly from the SBP store. If you purchase from the SBP store you will receive a 25% discount on A World of Shadows by using our exclusive coupon code, ATC25. This code is good through the end of August 2016. Also for a limited time, you can download the Legacy Edition of Spirit Blade for free! So act now!